Six and a half years ago, Kim England, global community director at multinational publishing and education company Pearson, led the company’s transition from a disjointed collection of more than 130 intranets, to an enterprise social network (ESN) powered by Jive. 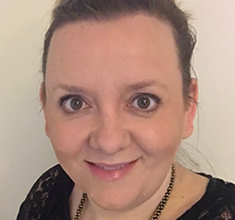 Kim England has more than 12 years of experience as a communication and community practitioner and, during the last 6, she has successfully implemented two Jive Software communities at Pearson, the multinational publishing and education company. She works at all levels of the organization to drive business value using Pearson’s enterprise social network communities. In addition to the overall direction and strategy of the platforms, her role supports the business through coaching and engagement to help leaders develop their own business collaboration strategies. Kim is a thought leader on planning, implementing and delivering social business platforms. She is a member of the Jive executive advisory board, co-founder of ESNanon and regularly shares her experience on the topic of enterprise social networks and building successful communities on the conference and speaker circuit. 00:20 Patrick O’Keefe: Hello, and thank you for joining me for this episode of Community Signal, where we’re talking with Kim England, Global Community Director at Pearson, about enterprise social networks and internal employee communities, and how Facebook might serve the space with a big wake-up call. 00:34 Patrick O’Keefe: Last week, we launched our Patreon, where listeners can support the show and receive fun perks for doing so. If you enjoy the program and it helps you in your work, please consider backing the program, like Sarah Judd Welch, Carol Benovic-Bradley, and Rachel Medanic already have. Alternatively, if you have some feedback to offer about the Patreon or a reason that’s holding you back, I’d be grateful to hear those thoughts, as well. You can contact me via the contact form on communitysignal.com, or email at patrick@ifroggy.com. 00:59 Patrick O’Keefe: Kim England has more than 12 years of experience as a communication and community practitioner. During the last six, she has successfully implemented two Jive Software communities at Pearson, the multinational publishing and education company. She works at all levels of the organization to drive business value using Pearson’s enterprise social network communities. In addition to the overall direction and strategy of the platforms, her role supports the business through coaching and engagement to help leaders develop their own business collaboration strategies. Kim is a thought leader on planning, implementing, and delivering social business platforms. She is a member of the Jive executive advisory board, cofounder of ESNanon, and regularly shares her experience on the topic of enterprise social networks and building successful communities on the conference and speaker circuit. Kim, welcome to the program. 01:43 Kim England: Thank you. Thank you for having me. 02:37 Patrick O’Keefe: And you’ve been working in internal communication at Pearson for nine and a half odd years. Neo has been around for, as I just said, more than six, and you led that effort. What’s happened more recently, where collaboration and conversation has taken a back seat in your eyes? 02:51 Kim England: So, I think there’s a couple of things that have changed specifically around the Jive community. One of the things that we did a couple of years ago was we moved to the cloud, and it was really, really exciting, and I still think that Jive has one of the best products out there. I make it my business to see what’s out there competing against it, how things work, and whenever I go to conferences and we talk about the various different vendors, I think Jive customers tend to have the more successful communities. They tend to have a lot less challenges, in terms of implementation. They get a lot of support from Jive and they’re a fantastic partner. 03:28 Kim England: But what’s happened with the introduction of things like their news and front page, and some of the other changes that they’ve made to how the core product works, is the collaboration/conversation piece is moving further and further into the weeds of the community. So, if you think about something like the front page, when we first launched Jive six years ago, we used to have a box where people could put a status update and they would be saying things like what am I working on, and we used to have some amazing serendipity moments where someone would log into Neo and see somebody in Australia was working on something and they would connect, and that was some of our really, really early use cases. You can’t do that now on the home page, because news allows you to push out content based on user profile. So, from an internal communications perspective, it’s wonderful, because I can set out the CEO’s blog to be pushed at all employees, I can slice and dice my users based on their location and the different parts of their businesses that they work. 04:28 Kim England: But that just really, to me, makes it a kind of glorified 2.0 intranet. It’s not a collaboration space. And even if you look at how the news items are presented, there’s no mention that it’s got the ability to comment or like. So, if you’re brand new to this and you landed on the home page, it wouldn’t really be inviting you to start having conversations with your work colleagues. And if you compare that with Facebook’s offering, that’s a very different proposition. They are encouraging conversations. They are encouraging dialogue. It’s like Yammer on steroids. It’s exciting and it’s interesting, and it’s why people who perhaps haven’t had an ESN before and are perhaps looking at it for the first time are saying, “Yeah, this is amazing,” because people know what Facebook is. People know what they’re getting with Facebook. Facebook doesn’t need instruction. It’s easy to use. 06:35 Kim England: Yeah. I think that is exactly it, and about three hours ago, I had that exact same conversation, which was, if Facebook haven’t got all of the things that would make it an amazing ESN offering, if they haven’t got them today, they could easily have them by tomorrow. You know, literally… not tomorrow, but they work quick. 06:55 Patrick O’Keefe: Do you think Facebook’s pricing strategy is competitive with what you see out there? So, right now, for the premium plan, they have $3 per user for the first thousand active, $2 per user for the next 9,000, $1 after that. So, I guess you look at it as basically $2 for the first 10,000 users each, so $20,000 for 10,000 users and $1 after. 07:14 Kim England: To be honest with you, I don’t know a huge amount about their pricing structure compared to Jive, so I will be honestly answering that I don’t think I don’t know enough about that. 07:24 Patrick O’Keefe: They’re looking at a 10,000-user community, internal community, for $20,000 a month, $1 per user after that. Does that sound competitive in this market? 07:32 Kim England: I think it does sound competitive. What I would want to know and understand is what I’m getting for my money. So, what kind of support is wrapped around that offering. One of the things that made Jive communities so incredibly successful was the amazing support that you got right out of the gate to get your community active. One of the things I felt when I listened to Facebook, talking about one of their case studies with the banks, was that they were almost a little bit arrogant, that they were almost the first people to do this. It’s like, this is not new space. And the case studies and what you’re talking about, we were talking about with Jive seven, eight years ago – for Pearson, six years ago. So, I think there’s an element like they think they’re the new kid on the block with the magic wand. 08:15 Kim England: And I think where they’ll come a little bit unstuck is that sometimes, in the beginning, these things can be really easy. If you’ve got a problem to solve and you’ve got a community solution, you can go in and, relatively quickly, have a massive impact. Where it gets really difficult is two, three, four years down the line, when you’ve had a change of leadership, perhaps they’re not as bought into the idea of an ESN, perhaps you’ve had a restructure and you’ve got to go back and look at your communities, and they all need pruning and editing and changing. There’s a lot of things that will make life a little bit more difficult, I think, in that Facebook world, and it’d be interesting to see how they manage some of that, what I would call just general enterprise business, what happens – restructures, change, whether they’re still as successful if they carry on the kind of route that they’re going. Obviously, if they listen to their customers and they consider some of those challenges and adapt the product accordingly, they could be very successful. 09:13 Patrick O’Keefe: You mentioned the home page changes for Jive. It sounds like making it more of an almost static news section, segmented news based upon user profile, what section of the business they work, that sort of thing. Have you noticed an impact on activity, or certain types of activity, that have dropped, based upon that change? 09:33 Kim England: So, nobody does status updates in our community now. The status update was added to groups, and so that was great. It was something that customers asked for and has its place. So, if I belong to a community, maybe I don’t want to write a blog update, but I can do a quick status update, and we’ve seen an increase in those kind of things. But we have seen a dramatic loss of those “I’m here, I’m visiting this office thanks to @mention whoever, for the help they gave me,” those kind of… what I would call nice collaboration or interactions, human-to-human. 10:09 Patrick O’Keefe: Is it like a water cooler type thing that’s just kind of dying? 10:13 Patrick O’Keefe: Sort of an off-topic, “Hey, this is what I’m working on,” or, “Hey, I did this yesterday. It was great,” that sort of just crushed in a big way by these changes? 10:20 Kim England: Yeah. And we could create a group and make it a water cooler group, but if I have to make a group to bring back that kind of status update, that conversation, then that says that there’s something wrong with the product. With that said, I was a massive advocate for news when it first came out, and I do think it has had its place within Pearson in terms of being able to push communications at people, especially when we’re sort of deciding about important messaging that needs to go out to people. We have the ability to set automatic notifications. And that’s been really, really great. It’s just for me, that really responds quite nicely to the internal comms and HR; it doesn’t really necessarily respond to the community. And I think that’s where Jive have sort of had a tough couple of years. They’re trying to be something to everyone. They’re trying to please the tech-savvy people. They’re trying to please HR. They’re trying to please internal or corporate communications. And I think in trying to please everybody, they forgot what made them really awesome in the first place. 11:20 Patrick O’Keefe: It sounds like they didn’t really even give you the option. You know, they made a change to news. Like, you don’t necessarily even have the option to have either a hybrid approach of both, or go back to status updates. 11:33 Kim England: So, I don’t think we can go backwards, but for a long, long time in cloud, everything that they push out from cloud, you have an option to turn on and off. So, you don’t have to go automatically with news. We chose to because at the time, we felt that it would give our home page a kind of dynamic changing sort of aspect that we felt was missing. And you know, sometimes, you make calls as a community manager that aren’t necessarily right, either. I really bought into the fact that news would be the right thing for our community, and I don’t think it’s the wrong thing for our community, it’s just for a couple of months since I’ve been back from maternity, I haven’t been able to put my finger on what was missing out of our community, and it was being in a presentation about Facebook for Work that I was like, “Aha. That’s what’s missing. We have lost the heart of our community, the pulse. It’s gone.” Then, on reflection, I was like, oh my God. That’s actually really sad, because I genuinely think that that was a lot of what made it so successful right in the beginning. 12:33 Patrick O’Keefe: I guess what I’m saying isn’t so much that we don’t make mistakes or community professionals don’t make mistakes. It’s just that I always found it surprising when something that costs as much as Jive does doesn’t at least give you an easy option, right? Because turning on the software features, approving an upgrade… You know, there’s a difference between upgrading the software and still providing options. Like, you can have the latest version of Jive, but why would you not necessarily have an option? But I guess that goes back to what you’re saying in that tweet, was that maybe they need to think about how those options fit within the platform and maybe give you more of an option to bring back collaboration and conversation into a more highlighted area, as opposed to pushing it to some sort of group, making everyone join the group, making everyone look at the group. 13:17 Kim England: Yeah, and I think that’s the other thing that’s become quite challenging now, as well. I mean, we used to have a really clear strategy with groups. You could have an open group, you could have a members-only group, a private group, or a secret group. It was super, super simple. And for six years, or five years, I communicated that really clearly in all of our training material. And then all of a sudden, Jive made a change, that you’ve got an open group, an open restricted group, a private group, and now there’s real confusion over group membership and being able to manage who your members are. We’ve had to change all our training material. So, I think there’s just some niggles that I have as a customer that says, “Hey, years ago, when you used to make really big changes like this that would impact the community in a massive way, not like a tiny little incremental way, but, like, “I have to rewrite my training material” kind of way. 14:08 Kim England: You used to ask customers, and we’d give you feedback and we’d tell you either why something wouldn’t work or why something would really, really work. That doesn’t happen anymore. We do feed into various different events that they have. I’ve been part of the advisory board for a couple of years, but I don’t seem to see any activity that actually reflects what I’m hearing from other customers. So, that, again, is where I think the wakeup call really needs to come from, because if they don’t listen to their customers—and the price point’s relatively expensive—why would I not look at other options, potentially? 14:42 Patrick O’Keefe: I know plenty of people who have a relationship with a higher-priced enterprise-level software vendor, whether that’s Jive or Lithium or someone else, and they are afraid to say anything publicly critical about that software because they feel like it will result in some sort of… I don’t know, consequence in the relationship of how the vendor serves them, how they’re willing to create solutions for problems faced by their client, and etcetera. And it’s always kind of funny to me, because it’s us who pay for the software companies to exist, but in many cases, companies like a Pearson, like some other company, have so much invested in these platforms, the software, customization, implementation of it, training your people, sending people to conferences, both a financial and a cost of professional capital, too, in the business. 15:29 Patrick O’Keefe: And we had a show recently with Maggie McGary, who’s experienced in the association software space, and she talked about how there’s sort of an imbalance sometimes of power, where the associations buy into these big packages that can cost anywhere from 20 grand to a million-plus, and then they’re not being heard enough. And so, as these companies change, make a software change, make a change to the software, merge with someone else and all the solutions change, they pass down this extremely burdensome cost to these associations. And thinking about the internal communication space and these sorts of ESNs, it sort of reminded me of that a little bit, and I was curious if you feel… I don’t know, like the balance of power in the vendor-client relationship sometimes falls too much to one side. 16:21 Kim England: I don’t think so. I think I’m always really, really honest with Jive. I always have been. I am still one of their biggest fans. I think if anybody is in the best place to fix this, it’s Jive. They have the most incredible people working at their organization. Everybody that I’ve ever worked with there, whether it’s their sales guys, the people who have helped us implement, the people who help us on a daily basis when we log calls, they’re all fantastic, and we are happy with Jive in many, many respects. But I think at this point, the reason I’m quite happy to be quite public about how I feel is because I have told them. 16:59 Kim England: I have told them in a kind of semi-public forum in that I’ve been at conferences with other Jive customers and I’ve stood up and I’ve told them, I’ve told very senior people at Jive how I feel and some of the challenges that I’ve had, and I honestly think that if they’re going to survive and I’m going to be able to continue to use Jive going forward—which is what I hope I can do, because I still do think it is, as I said, the best product out there—they’ve got to make some tweaks and changes. And they can only make those tweaks and changes by listening to their customers. And the thing is, in the Jive space in particular, some of the people who use Jive as their customers are so smart. I mean, they have some of the smartest community managers, some of the smartest people I’ve met in the industry. And so, you know, if they’re not listening to those people, then more fool them, really, because these aren’t people who just whinge for the sake of it or are snipey customers. 17:54 Kim England: They are really, really smart people who are saying, “You know what? We’re in touch with the way the world is changing, the way our companies are changing, the way organizations are changing, and the way ESNs are evolving, and we’re giving you this feedback, because it’s real-time, it’s what’s happening for us.” And we just really want them to be able to then kind of respond to that. 18:14 Patrick O’Keefe: That makes perfect sense to me. I like you, Kim. [Laughs] I totally respect that. I mean, that’s really how it should be. On a much smaller scale, I just wrote a blog post about complaining about a piece of luggage, a warranty on luggage, and it got this warranty that’s seven years old and the company said it’s basically no good because they’ve changed their licensee in the United States. So, as a customer, I’m like, “What do I care? You know, I bought this luggage. It has your name on it. I don’t care if it’s… ” It’s Heys Luggage, but I’ll just say if it’s Jive USA or Jive America, you just changed the licensee, I don’t care. I bought a warranty, and so I went through the channels exhaustively, the proper, private channels, and I finally said, “You know what? I’m just going to write a blog post about this, because it’s just ridiculous.” So, I can totally appreciate that approach. I mean, I value honesty in our space, so thank you for that, first and foremost. 19:02 Kim England: That’s okay. 19:03 Patrick O’Keefe: And Jive itself, kind of relevant to the association space, again, there’s a lot of money in the association space right now, and Jive is going through some change, too. On May 1st, it was announced that they would be acquired by Wave Systems, which is an affiliate of a private equity firm, ESW Capital. And since then, they’ve been brought into the Aurea family of companies. I’m not familiar with any of these organizations, but the deal was valued at $462 million, and I found the quote from Aurea’s CEO Scott Brighton, something he said to employees, kind of funny. He said, “This is a bet-the-company acquisition for us. If we fail at this, we’re done.” [Laughs] I was wondering if you had any reaction to just the merger as a client, as someone who uses the software. 19:43 Kim England: So, I think for me, my heart goes out to the people at Jive, because I think when these things happen, it’s really disrupting, whether that’s on a personal level or within your work environment. And so, as I have had relationships with some of the Jivers for six years and I feel like some of them have become good friends, I feel for them, because uncertainty and change is traumatic sometimes, and I really hope that they’re able to kind of get clarity about what it means for them so that they can kind of move forward. But I think for the customers, I think we almost have that kind of sense of, “Okay, well, what does it mean for us?” Because I’ve heard lots of different things about whether they’re a bit more focused on the kind of external communities rather than internal communities, where will the investment go, in terms of the product, how will they listen to their customers, will the Jive customers be as important to them, in terms of existing, versus building out a portfolio of more customers. 20:43 Kim England: So, I think it will be interesting to see where the dust settles over the next couple of months. I saw that there were announcements that two of the Jive executives are now part of their board, and I think Elisa Steele has now said her piece around departing, so I guess as the next sort of layers settle into how that’s all going to fit, we’ll know more. But I just hope that they do it relatively quickly, because I know from experience, having working in two organizations that have gone through a lot of change, it’s very distracting. And whilst you’re distracted internally, you’re not necessarily focused on your customer. And so, I would say they need to move quickly to be able to keep ahead of the game, really. 21:25 Patrick O’Keefe: It sounds like there’s ambiguity for not only employees of Jive, but also for customers of the software. And in uncertainty and ambiguity, there’s this opportunity for just bad feelings to set in, you know, when you don’t know what’s coming, especially when you’ve invested so much in this software and you’re unsure of the commitment to it or what’s happening moving forward. And in some cases, like you talk about the employees, and what you kind of hinted at for me was some of them might lose their jobs, if there’s jobs at stake, your livelihoods. But also, on the community side or the ESN side of things, if you’re someone at an organization who advocated internally for this software and it is this amount line item in your company’s budget and it doesn’t go well because of something like this, you could lose your job, too. 22:07 Kim England: Yep. Exactly. 22:09 Patrick O’Keefe: I was going to ask you if there is enough diversity of choice in this space for internal collaboration software. But you mentioned something to me before the show about how you think that, within the next few years, there are really going to be some clear winners and losers in this space. So, I was curious actually to talk about that a little bit. Do you feel like… I don’t know, are there too many vendors right now where it’s going to get paired down in the next few years? And if so, what do you think is going to guide that? 22:37 Kim England: So, I think one of the challenging things—and this has always been my kind of challenge with Jive—is that they never really married up with another big organization. I always wanted them to be gobbled up by Google, because we use Google at Pearson. We stopped using Microsoft a few years back, and we had Google Plus, and everyone was saying, you know, “Our Jive community will go away because we’ve got Google Plus.” And you know, Google Plus just didn’t cut the mustard and it kind of died a death. So, we still have Jive. And so, if you’re in Microsoft house, you’ve got SharePoint, and they’ve bought Yammer. They’re kind of putting this whole suite together. And so, if you were not really using SharePoint that well within your organization, it wasn’t necessarily that successful, you might dabble a bit in Yammer, but you certainly wouldn’t go and buy Jive, because you’ve kind of got parts of that package already in-house. 23:28 Kim England: And I think sometimes, that’s where Jive may have struggled, in that they weren’t really partnering up with something else that could already be within an enterprise. And I think, if you look at things like Slack coming into the market, it’s kind of free off the bat, but all these sort of little, miniature ESNs or small communities and stuff, they don’t really help the problem that an ESN is really trying to solve, which is you’ve got information in silos within an organization. Because the trouble is, with something like Slack, and then having another tool, and then maybe even having a Jive, is that they still all sit in those different systems. It only really, really works if you’ve got one chosen tool across the enterprise that everyone’s on board with, that everyone’s using, that there’s an investment behind it, whether that’s resourcing it properly with community managers and training people and being really clear about its purpose, and then committing to it for the long term. 24:26 Kim England: These sort of small communities just kind of don’t really get off the ground. They might work really well in a particular team or part of the organization, but they won’t become something that everyone uses kind of globally. And that was where Jive was really great in the beginning, because they used to kind of go into companies with the proof of concept and really help you build out that use case. I don’t see that with the likes of Slack. They don’t come in and help you do a proof of concept. It’s kind of a free tool and then once you realize… or your IT guys realize that all their information is in this system, you might want to buy an enterprise agreement or something. I mean, I’m simplifying. I know it’s not entirely like that. But there are a lot of players, and I think what I’ve seen with the likes of SharePoint and the kind of Yammer piece is lots of frustration where perhaps your company, it’s been built out by acquisition, so they’re not all on the same version of SharePoint, the Yammer piece isn’t quite connecting, they’re not getting that kind of luxury of the whole thing working together. 25:25 Kim England: But it will come, and if that does happen and that integration does work and people start to have some real success—same with Facebook for Work—you’re going to start seeing companies think, “Okay, well, why would I pay extra for one of these other kind of smaller pieces when we’ve already got Microsoft in-house?” or whatever. So, I think there’s definitely some challenges with some of the ESNs that are out there. They need to work on getting better at what they do. But I also think that some of the smaller ones, they just won’t be able to compete. They won’t be able to build the market share. And I think we’ll see some of those kind of disappear. It’s a bit like social media. There’s new social media apps all the time, but if you look at it, who have stood this test of time? It’s Twitter, it’s Facebook, it’s Instagram, and it’s Snapchat for now. But lots of them have kind of come and gone. Some of them, you’ll be like, “Oh my God, I’d forgotten about that particular social media tool, but at the time, I was using it all the time, but it just didn’t really last.” And that’s what I feel about some of these smaller ones. They kind of serve a very small purpose, but they really just don’t get what it’s like to be an enterprise social network. 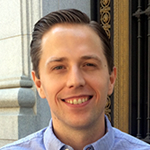 26:34 Patrick O’Keefe: On the flip side of that, another thing you told me before the show was, “I am not sure the internal community software vendors fully understand the pace at which organizations change and the impact this can have on how a community works within an organization. Many of the ESNs are trying to be everything to everyone, and I think this means they get distracted from their core purpose.” And I think possibly… At the start of the show, we talked a little bit about conversation and collaboration, and that might be part of that distraction. But I was curious, what are some areas where ESNs are maybe extending their reach too far, getting distracted, getting a little far outside of the core purpose they exist to serve for large organizations? 27:12 Kim England: So, I think the biggest challenge that I found within ESN specifically—and it is Jive, because obviously that’s what we use, but I hear it from other vendors, as well—is companies are constantly changing. So, they’re constantly evolving. Now, in the beginning, Jive was a huge enabler for that, because we were a company that was growing with acquisition and we were able to onboard new acquisitions really quickly. It enabled us to get people up to speed with what our strategy was, what kind of culture we had, and it helped people that were brought into Pearson feel part of the family – which, when you think about Jive being acquired, is trying to deal with that ambiguity really, really quickly so people feel less distracted, more excited about being part of something bigger, and everyone can kind of move forward. And that works great when you’re buying up companies and you’re partnering with companies. 28:01 Kim England: But when you start to either part ways with bits of your business or you make a restructure and organizational change, that’s where it becomes really, really difficult. ESNs are terrible for being able to be cleaned up. And it sounds silly, but you know, in the grand scheme of things, it’s quite important. Delete tags, you know, delete complete parts of your organization, in terms of their existence. If you go into our Jive community now and you do searching for tags, there will be things related to Penguin, to the Financial Times. We haven’t had those organizations part of our community for such a long time, and I have to go and pay for professional services to extract those tags out of my community, or go searching for that content. I don’t want to spend that money, and I want that task to be so much more simpler and easier. Things like the space and the group structure within Jive. 28:54 Kim England: For the record, I absolutely love the space structure. I think if you’re not going to have an intranet and you’re going to have an ESN, you absolutely need some structure. You can’t just have everything being sort of at the same level, in terms of how groups would work. But there are times when you need to really shift some of those spaces around, because the structure of your organization changes, and that’s not an easy task. That is a huge, huge pain and a huge, huge lift for the community manager. That should be easier and simpler. And so, for me, they’re very, very simple things, but they’re very, very difficult and not made easy by the vendors. We talk about things like search. Jive search is hot. It is amazing. What’s not hot is all the content that is old, decrepit, that I can’t get rid of that keeps coming up in the search, because that’s the terms that people are searching for. So, because it’s bringing them up, it’s a popular piece of content, it’s been viewed lots of times. It just happens to be completely out of date and non-relevant anymore. 29:53 Kim England: And so, it’s that kind of stuff where I think that’s basically community management 101. I don’t even know whether that’s on a lot of ESN’s radar. It certainly isn’t on Facebook’s radar, as I can understand from some of the blogs I’ve read about where it’s got its Achilles heel, in terms of what wouldn’t work right now, and I think they need to think about that, because I don’t know any organization right now that has not been through a massive amount of change in the last six to 12 months. 31:07 Patrick O’Keefe: For example, I made my word censor 12 years ago tell a user when they triggered it so that they could edit their own post and submit it, and overnight, we just don’t remove content for that reason anymore. People don’t use profanity in posts that actually go public as much anymore. So, 95% gone of that workload. And just simple tweaks like that that make our lives a little easier can have really big results, and I don’t know the full reason for that. I tend to believe that what happens is that, at a lot of vendors, they have large sales teams, they have engineers, they have executives, but they often seem to lack… in your case, I don’t know if this is true for Jive. Could be totally wrong, but with other software companies, I find that, for example, if you do ESNs, you don’t have many people working for you who have actually managed an ESN for a long time, or have experienced working with it at scale. 32:00 Patrick O’Keefe: Like, within the community software companies, I come across companies all the time that have ten, 20 salespeople, and may not even have one experienced community professional at the organization who can help push product in the right direction, as far as what the people who actually have to use the software need for it to be effective for them. And I think it seems so obvious, but it’s so problematic when you don’t have that experience in the room. 32:23 Kim England: Yeah. And I think that’s where Jive were amazing, because they did. They either had people with amazing experience. or they were so close to their customer and their customer use cases that they really understand our needs, what was happening. I mean, I used to spend so much time talking to some of the Jive executives, and they would come and visit the U.K. or JiveWorld. I mean, JiveWorld in itself is a fantastic event where you really feel listened to as a customer. So much value was put on community managers being the experts, the people that are probably better at selling Jive than their sales guys, because they’re the proof that it works, if you like. It just feels like some of that piece of listening has definitely diminished. And I appreciate that there’s lots and lots of things that are probably on the wish list of what they need to tick off and what they’ve got the resources to address, but I think as this ESN space gets older, these problems are becoming more and more of an issue because I’ve got more content. 33:27 Kim England: You know, I’ve got six years’ worth of content in a successful community where 75% of my employees log in in a month. So, you can just imagine what kind of community we now have. Now, a couple of years back, I dedicated Dina’s time, when she first joined our team, to looking at cleaning up, but that’s a really sucky job. I mean, how much value is that adding? It really isn’t. And actually, you know, you look at… Is it a good use of Dina’s time to go chasing down people who may have left the company but have still got a group that’s dormant and not really necessary, or do we put her in the community, managing it, generating value for the organization, and stimulating the conversations that we want to have? I want to put her time on the latter, but if I don’t clean up the community, then when I do feedback sessions and I talk to the community, the number-one thing that drives them crazy, I go into search and I find content that is five years old. 34:23 Kim England: Okay. Well, mark it as outdated, but that doesn’t do anything. So, yeah, it’s a challenge I think they need to resolve, or they need to at least appear to be looking at resolving it. 34:34 Patrick O’Keefe: Yeah. I remember when Dina was on, I think we talked about that herculean effort to clear out old content and clear out… I think it was like there were 2,500 spaces in Neo and she wanted to get it down, or had to get it down to about 190 at that time, and was hoping to get it to half that, or less than 150—I’m reading the transcript now—instead of taking three years to get to that point and still not done. So, yeah, it does sound frustrating. You have more than 40,000 employees at Pearson and it’s 70-plus countries, as we said at the start. Most of us who build communities tend to work within a fairly small geographic region. I would say probably a majority work mostly within one country, certainly one continent, but you have this wide reach because Pearson is so large. And 70-plus countries, that’s a lot of different cultures. 35:26 Patrick O’Keefe: I was curious about if you have some sort of… I don’t know, thought process or documented process that you go through when you make a big change or when you launch an initiative where you’re kind of vetting against those different cultures or thinking about that to ensure the change, announcement, initiative, whatever it is, is appropriately received, I guess around the world. 35:47 Kim England: So, I think it helps that we’re part of global corporate affairs and marketing, because that means we have people across the world that are part of our division. So, when there are big changes, there’s normally people from all different parts of the world and all different parts of our business that will be involved in that change. And so, you know, we are very mindful of how do we make messages global, how do we make things accessible, and that kind of thing. But I think that’s really the beauty of ESNs. It doesn’t really have any boundaries in terms of geographies or culture. You have the ability to be able to open up a community to everyone, and everyone, to a certain degree, is equal within our community. It doesn’t matter if I’m a personal assistant or a coordinator in my first role within my company or I’m the CEO. I can write a blog and talk about what I do and what I’m interested in. I can post a status update. I can like something. I can comment. 36:41 Kim England: So, I think in many ways, what it does is it allows us to reduce the boundaries we have. It allows people to see that we’re a global company. And I think sometimes, when you’re working in an office day-to-day, you’re driving, you park your car in the same place, you eat your lunch with the same colleagues, Pearson might not feel like a very global company. But you log into Neo, and suddenly, there’s this kind of big, wide world of people from across the organization who work in different places. So, they might look like you and me, they might not look like you and me, but they might be doing the same role. So, they might sell product in Australia or France or South Africa, but they’re the same. They have the same job. And I think what the ESN really allows us to do is bring those people together and share their shared purpose, which is that we want to help people advance in their lives through education, and it really gives people the ability to unite and work together. 37:38 Kim England: And one of the things that we’re doing at Pearson over the next couple of months is really upping the ante on our advocacy program and reigniting that whole idea that our ESN community has the ability to shine a light on our people. I always have been quoted as saying that our ESN was always about our people, and without our people, our ESN is nothing. I mean, Neo isn’t anything if it hasn’t got the people in there creating the content. And I think we need to put a little bit of something back around our people. So, we’re doing a lot of exploration about who our Pearson people are, who works at Pearson, why do you work at Pearson, what makes you proud to be working at Pearson, and really just trying to inject that sense of pride back into our community, because it’s kind of fallen by the wayside by being an internal communication tool, and I want to remind people that it’s actually community and it’s actually somewhere where people can go to collaborate and share and find each other. 38:34 Patrick O’Keefe: Kim, thank you so much for spending some time with us here on the program. I really appreciate it. 38:38 Kim England: You’re welcome! 38:39 Patrick O’Keefe: We have been talking with Kim England, Global Community Director at Pearson. Read her writing at sociuscommunity.wordpress.com. That’s S O C I U S community.wordpress.com. Follow her on Twitter @Miss_England_19. Finally, there is a series of videos about Pearson’s people-centric intranet on Jive’s website that we will link to in the show notes. For the transcript from this episode, plus highlights, and again, links that we mentioned, please visit communitysignal.com. 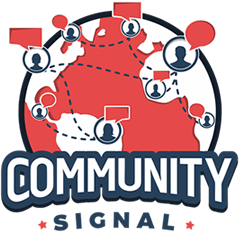 Community Signal is produced by Karn Broad, and we’ll be back next week.